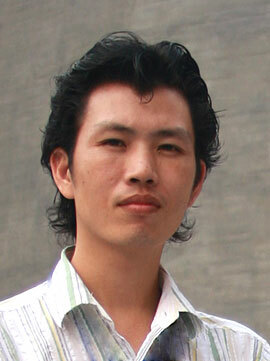 Born in the 80s, Wang is a native of Hainan province. He was graduated from the Art College of Hainan University. He made his debut in 2006 at the 7th Guangdong Art, Calligraphy & Photography Competition in which his work of art titled “Protected Life” clinched a bronze medal in the oil painting category. Through the years from 2006 to 2015, Wang’s art of work had collected more than 12 awards and honors in various competitions and exhibitions. In 2008, Wang’s oil painting titled “Another Year” was awarded a certificate of merit at the 8th Hainan Young Artists Competition. More recently in 2015, Wang’s artwork titled “Banana Field” was awarded a gold medal at the 6th Shenzhen Longgang Art Festival and highly honored by the Chinese Artists Union. Wang’s art of work were exhibited in major art shows in China and abroad including Hong Kong and Macau. “Every successful artist has a special style. Wang’s style can be best described as tropical. It’s obvious because he grew up in Hainan Island, China’s southern territories, a tropical paradise and favorite tourist destination like Hawaii to many foreign tourists,” said art critics. “The red hot sun, white clouds, sandy beaches, miles and miles of banana fields and coconut trees, to me, this is Hainan, this is the kind of happiness and freedom I know, I put all these things in my paintings and share with people,” said Wang proudly.